Camping is a good opportunity for your family to spend quality time together and bond. But despite its fun aspect, a camping trip can turn easily into a disappointment. Something as simple as forgetting to bring salt or choosing a camping spot that is susceptible to flooding could put a damper on the whole experience. 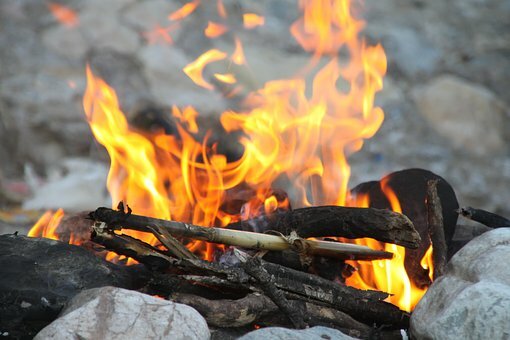 In this article, we’re going to expose five crucial family camping mistakes you should avoid at all costs. The sooner your family gets to a campsite the better. Remember that once you get there, you have a tent to set up, a fire to make, and items like flashlights to locate. So, always leave the house early when you go camping. And if possible, try to arrive at the campsite before 3 P.M. That way, you have enough time to prepare it before darkness sets in. The kids will also appreciate having a few hours of play before dusk. So, you have decided on a Delaware Water Gap camping site as your destination. Fine! Now, research its topography before you get there. Do not be like most campers who assume that because a campsite is well-known, every part of it is ideal for camping. In particular, pay attention to valleys because they are the first place you will want to camp in. After all, most look ideal. However, a valley is, in fact, the last place you should pitch a tent. Many valleys flood when it rains. If you camp in one, you might wake up at 4 A.M. in a flooded tent. Like valleys, mountain slopes are also unsuitable for setting up camp. For one, the slope makes it hard to set up a tent. Try to do so and your family’s belongings will roll down to the bottom of the hill. And if you somehow succeed to set up the tent, sleeping on an incline will still be impossible. That said, camping on a hillside is possible if it has a tent platform built into it. However, not all campsites have this feature. Tents are not as warm as your home. In fact, depending on the location of your campsite, your tent might be freezing. So, bring warm sleeping bags and warm clothing, especially for the kids. Also throw in some extra blankets just in case. And while you are at it, remember to bring other essentials as well, such as salt, coffee, or sugar. Most campsites require you collect and hang up your garbage. This simple regulation, though good for the environment, has another important purpose. It keeps wild animals, such as coyotes, away from your campsite. They go through any garbage left lying around and strew it all over a site. Your family is then forced to pick it up all over again. Going on a camping trip can be a lot of fun for your family. But, ensure you avoid making the above mistakes that can ruin the trip. This entry was posted in Family and tagged camping, family, Mistakes.